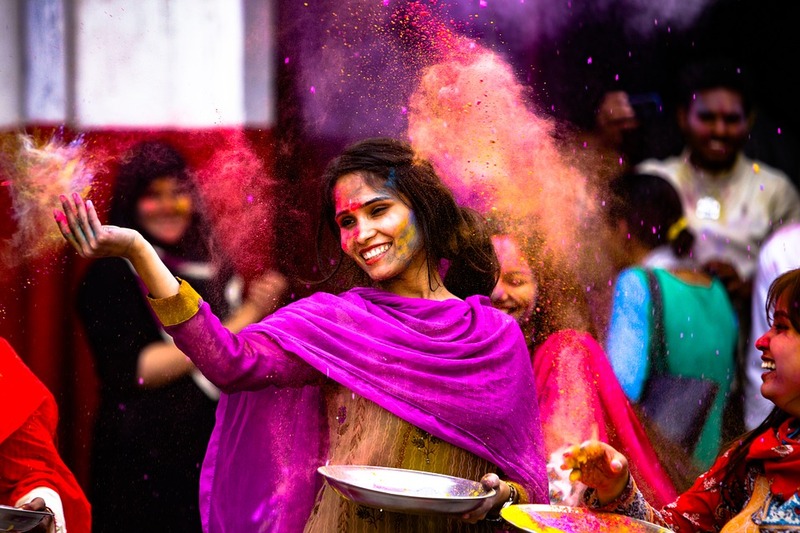 New Delhi [India], Mar 12 (ANI): The vibrant festival of colours is just around the corner, and as usual, we can expect to binge on some lip-smacking sweets, thandai and splash coloured powder, water and balloons while chanting “Holi Hai”. New Delhi [India], Oct 23 (ANI): Festive season, the busiest time of the year with countless events and parties, has arrived! New Delhi [India] Mar. 30 (ANI-BusinessWireIndia): Kappil Kishor, a fashion guru and well-known name in the fashion education industry, has received the 'Top Hundred Masterpieces' award from 'Padamabhusan' Dr Uma Sharma at Belmonde Chhattarpur, New Delhi. New Delhi [India], Feb 3 (ANI): The much awaited day for all the love-birds is knocking the doors, and it's time to show your partner how much they mean to you. New Delhi [India], Jan 21 (ANI): Beauty expert Shahnaz Husain's group has launched its range of Herbal Deo fragrances in Indian Market under Brand Name "O". Do you know Delhi smog can affect your skin too? New Delhi [India], Nov.9 (ANI): Pollution has become buzzword in the region in Delhi /NCR and is affecting normal functioning of life due to toxic air and heavy blanket of smog leading to zero visibility throughout the day. New Delhi [India], Sep 23 (ANI): Beauty expert Shahnaz Husain's group has launched innovate starch based dry shampoo that provides a water-free option for cleaning hair by absorbing dirt, grease and product build up when massaged through dry hair. New Delhi [India], September 17 (ANI): The leading organic beauty care company, Shahnaz Husain Group, on Sunday has launched a starch-based dry shampoo that provides a water-free option for cleansing hair by absorbing, dirt, grease and product build up when massaged through dry hair. New Delhi [India], July 8 (ANI): Padma Shri awardee and beauty diva Shahnaz Husain happened to meet Bollywood superstar Salman Khan at the Chhatrapati Shivaji International Airport, Mumbai recently.